We now have confirmation that the Uomotos are safe. They were the last of the OPC personnel to be heard from. Murray writes: "We are OK. Tremors continue. No water, utilities, internet yet. Thank you for your prayers." Please continue in prayer for the people of Japan and especially for our sister churches there. Many difficult days are ahead. Thanks to many who have called or sent e-mail to express your concern for us after the major earthquake on Friday, March 11. It was by far the worst we have experienced. We are all OK. When the earthquake hit, we had just assembled for our first Urayasu Church Plant planning meeting, which was soon transformed to an under-the-table prayer meeting. Hannah and Mary were at school a little more than an hour away. Relatively speaking, damage in our area was fairly minor—buckled streets and sidewalks, broken water pipes, fallen fences, lots of mud that has come up from underground. Other parts of the country have experienced much more terrible damage. I (Craig) just returned from standing in line for 2.5 hours to get a few containers of drinking water (we still have no running water). Ree is standing in a long line at the supermarket. Hannah and Mary have not yet been able to return from school (as of Saturday afternoon), but were able to stay with friends near the school. In God's providence, this terrible tragedy has provided opportunities for us to meet new people in our community and to take another step in relationships with new neighbors we have already met. Please pray that God would use even these circumstances to open Japanese hearts and to further His kingdom. As we gather this coming Lord's Day to worship him, we again find that we have so much for which to be thankful. 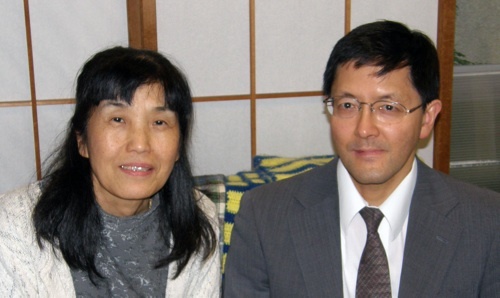 Please continue to pray for our brothers and sisters in Japan and for our missionaries who labor there to bring the good news of repentance and forgiveness of sin in Christ's name, that it might please our Lord to use the earthquake and the tsunami to open doors for us to show the compassion of Jesus and to proclaim the Word of life.